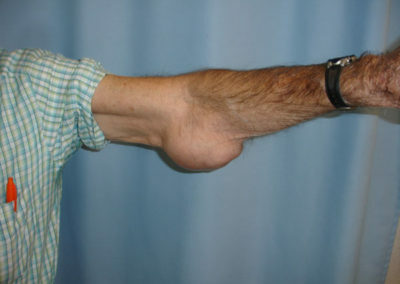 A bone tumor is a solid mass of tissue that can develop in nearly any area of the body. The specific cause of bone tumors is unknown, and most cases are noncancerous (benign). Cancerous bone tumors may originate in the bone or spread from other areas of the body, and require prompt thorough treatment to reduce the risk of serious complications. Although not life threatening, benign tumors can gradually weaken the bone and cause it to break. Therefore it is important to treat tumors. Some of the most commonly diagnosed benign bone tumors include enchondromas, giant cell tumors, and osteoid osteoma, while malignant tumors may include chondrosarcoma, fibrosarcoma, or multiple myeloma. Patients with a bone tumor may experience pain in the affected area that tends to worsen with activity, or even a fracture. Some tumors do not cause any symptoms. Your doctor may diagnose a tumor after a series of tests, including x-rays and CT scans, as well as removing samples of the tumor through needle or open biopsy. Some benign bone tumors do not require any treatment, but should be monitored regularly to detect any growth or abnormalities as soon as possible. Surgical removal of the tumor may be performed, depending on each patient’s individual condition. Bone grafting may be required. Cancerous tumors are treated with surgical excision, radiation therapy, chemotherapy, or a combination of approaches in order to ensure complete removal of all cancerous tissue. 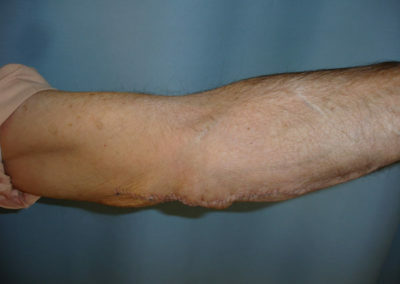 Ganglions are fluid-filled cysts commonly found on the tendons and joints of the wrists or hands. 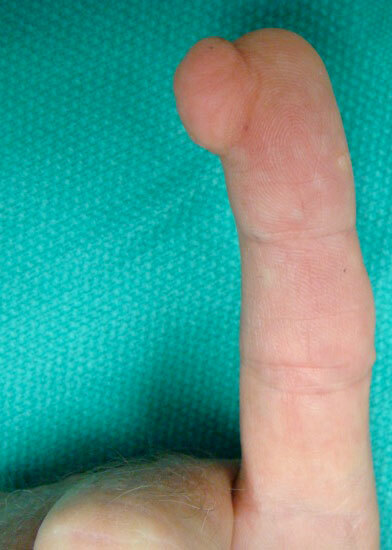 They may develop suddenly or over time and appear as a small, raised lump near your wrist or finger joints. While ganglions are usually benign and harmless, cysts may put pressure on nearby nerves, potentially causing pain, weakness or numbness. The most common ganglion is on the back of the wrist. The specific cause of ganglions is unknown, although they often occur in patients with osteoarthritis or degenerative ligament changes, and are most common in women between the ages of 25 and 45. They often occur spontaneously with no known cause, resulting in a firm lump containing a clear thick jelly–like substance. Immobilization – Reducing wrist movement or wearing a splint may release pressure on the nerves, relieve pain, and reduce the size of the cyst. Aspiration – Draining the fluid from the cyst is minimally invasive and performed under local anesthetic. A steroid injection may be necessary to help the area heal properly. Aspiration is not always a permanent solution since many aspirated ganglions re-occur. Surgery – Complete removal of the cyst and any attached tissue is recommended for cysts that are very painful and/or interfere with joint movement. Re-occurrence after surgery is possible. Physical therapy may be recommended after surgery in order to rehabilitate the hand or wrist, but typically is not required. 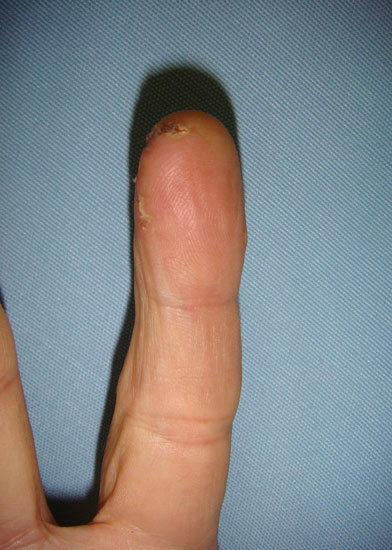 To learn more concerning ganglions and cysts on the hand CLICK HERE.